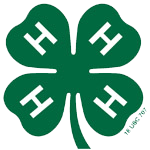 The deadline for recommendations to the WA State 4-H Council is September 1. The basic purpose of the volunteers who serve on 4-H Councils is to meet the educational needs of the enrolled youth. They must determine what those needs are and how to best deliver programs to meet those needs. Throughout the state, volunteers work in partnership with Extension professionals to develop programs that best serve the changing needs of youth in their county or area. In each county an Extension professional is ultimately responsible for the 4-H program. Consequently, all work and decisions of the 4-H Council are advisory to the 4-H professional. If you are a 4-H Volunteer, Family 4-H leader or 4-H member, Council is important to YOU! All 4-H leaders, parents, members (especially teens) are welcome to attend Leaders’ Council meetings. Please encourage at least one leader, teen, or parent to represent your group (Club, Family or Special Interest Program) at Leaders’ Council meetings! It doesn’t have to be the same person each time! oversee and support (with help from the Extension Office) the Council sub-committees such as Youth Camp, Horse Leaders (Li. Co.), Know Your Government, ad hoc livestock committees, Super Saturday or other county or bi-county 4-H events, awards or achievement programs, State Fair participation, etc. approve and forward suggestions for 4-H policy changes to the WA State 4-H Leaders’ Council. All Welcome at Leaders’ Council Meetings!! Make sure your 4-H club or family group is represented by as many adult and/or teen leaders as possible! 4-H Leaders’ Committee/Council of and for the Othello Area 4-H program. All 4-H Members, Leaders & Volunteers are welcome to participate in Lincoln Co. 4-H Leaders’ Council Meetings. For more information, contact Joy Wilken, Lincoln County 4-H Leaders Council President.